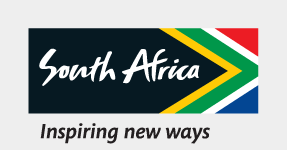 SSouth Africa is a vibrant and diverse nation with a unique spirit that is born from a dark beginning, but one that brings South Africans together. This beginning has through adversity shaped what South Africa has blossomed into, providing the world with a lesson that should never be forgotten. Although history can never be changed, it can always be learned from, and humanity can always find inspiration in its stories. The Apartheid Museum, close to downtown Johannesburg, gives life in remembrance to the notorious system of racial discrimination that became synonymous with South Africa from 1948 (when the white-minority National Party was voted into power) until 1994, the year in which the country held its first fully democratic elections, when a New South Africa was born. TThe implementation of apartheid policies by the white minority and South Africa's peaceful transition to a non-racial democratic society are important to this unique cultural destination. This is what makes the Apartheid Museum in Johannesburg worth visiting, not only for tourists but South Africans themselves. IIn 1952, African National Congress stalwarts Nelson Mandela and Oliver Tambo established South Africa's first black law firm, called Mandela and Tambo. VVisitors to the museum are greeted with a very real reflection of what it was like to live in a racially segregated society. The museum has two entrances labelled “White” and “Non-white”, and depending on which ticket you are issued, you will be ushered through one of the two. TThe laws that governed which entrances people could use or which bus to catch were classed as “petty apartheid”, but there were far more serious overtones to this system of racial classification. Under apartheid, the majority of people in the country were dispossessed of land, economic opportunity and their democratic right to choose their own leaders, simply because of their racial classification. When the National Party took over leadership of the country in 1948, it began entrenching racial segregation under the auspices of the South African Bureau for Racial Affairs. Before long, racial laws, such as the Population Registration Act that assigned every citizen to a racial category, and the Group Areas Act that enforced separate urban areas for race groups, came into being. Other repressive measures included making striking illegal and limiting freedom of movement for non-whites through curfews and pass books. Apartheid led to growing resistance among the disenfranchised, which in turn led to more punitive measures from the state, resulting in several states of emergency in the 1980s. IIt was the unbanning of the African National Congress and the release of its leader, Nelson Mandela, in February 1990 by former president FW de Klerk that sparked a new era for the country and the start of negotiations for a more equal and democratic society. Both men were awarded a Nobel Peace Prize for their role in ensuring South Africa's transition was peaceful. Throughout, Nelson Mandela emerged as the man able to lead the country out of the political wilderness and unite all population groups. Consequently, it's no surprise that the most popular of the more than 22 displays is the Mandela Exhibition, a life-map of South Africa's greatest son and arguably the world’s greatest humanitarian icon.